L.L. 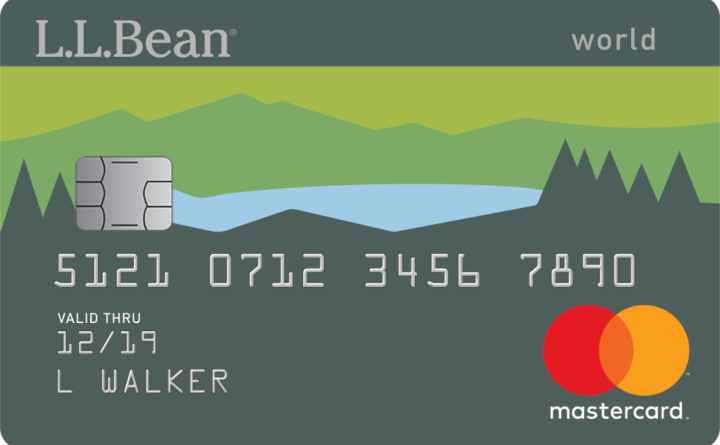 Bean issued a new credit card that racks up "Bean Buck" points that never expire. L.L. Bean on Monday issued a new Mastercard that racks up “Bean Buck” points that never expire as long as the card is used. The co-branded Mastercard with Citi Retail Services has no annual fee, replaces existing L.L. Bean cards and includes more benefits, L.L. Bean said in announcing the card. Citi Retail bought L.L. Bean’s existing $1.5 million co-brand credit card portfolio. Current cardholders will get the new card and be upgraded to the added benefits. “Our new co-branded card and the greatly enriched rewards it offers are fantastic for our current customers, and will also help us welcome new customers to L.L.Bean to share in our passion for the outdoors,” L.L. Bean President and CEO Steve Smith said in a prepared statement. Customers with the new card can earn 4 percent on L.L. Bean purchases, 2 percent at gas stations, 2 percent at restaurants and 1 percent on all other purchases. There are no limits on the amount of rewards. The rewards are earned as “Bean Buck” points that can be used to buy additional L.L. Bean products online, in store or by phone. Cardholders also will retain free shipping, free return shipping and free monogramming. “We look forward to bringing innovative offerings to their customers throughout the years ahead,” said Craig Vallorano, head of Citi Retail Services.